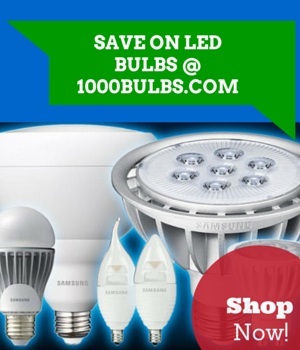 Submersible waterproof LED strip lights are the newest addition to 1000Bulbs.com’s extensive inventory. The 1-foot, 3-foot, and 16-foot lengths of silicone-coated LEDs are Ingress Protection rated (IP-rated) for significant water exposure. The IP-68 rating means the warm white or cool white strip lights can be safely submerged in water up to 6 feet deep. Standard strip lighting, or tape lighting as it is also known, offers a simple and unique installation because its slim shape and 3M tape backing. Waterproof strip lights do not come with the trademark tape backing due to the nature of their intended use. Instead, 3 to 10 sets of silicone mounting brackets with screws are included for installation. Unlike non-submersible predecessors, the waterproof strip lights use 2-pin instead of 4-pin connections along with a hermetically sealed connector cord and screw cap to protect the wiring. This particular strip lighting also has water-tight, 2-pin male and female connectors, one at each end to join different lengths of strip light easily, maintaining its underwater capabilities. Sold separately, the strip lights are powered by a 12-volt constant voltage LED driver and a power connector cord. In order to keep its IP rating and prevent potential risks in outdoor installations, this strip lighting cannot be cut or connected using the L-shape, T-shape, or plus-shaped connectors. However, the operational run length of waterproof strip lights remains 16 feet, the same length as standard strip lights. Consumers can learn more about waterproof strip lighting and its applications by visiting the LED tape light section of 1000Bulbs.com or by calling customer service at 1-800-624-4488.